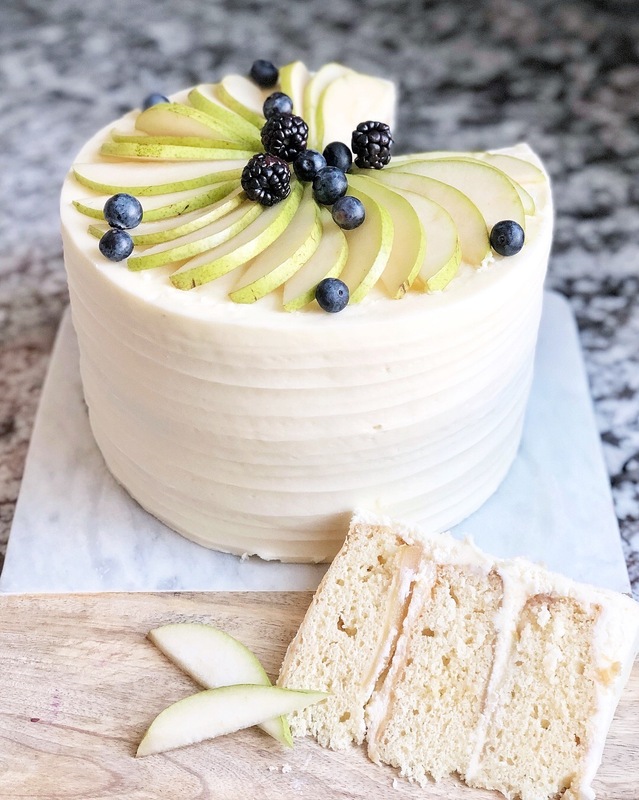 Honey Pear Upside Down Cake: Honey butter cake layers, baked with caramelized pears and filled and covered in a honey cream cheese frosting. As I’ve combed through Pinterest, Instagram and my go-to food blogs lately, I’ve noticed a trend in honey and fig cakes, especially for weddings. Seeing so many of these beautiful cakes, I wanted to make one for myself and see what the hype is all about. However, before even searching for recipes, I reminded myself that I don’t really like figs (why make a cake I wouldn’t love?). I do, on the other hand, love honey. So that ingredient was a keeper, and I just needed to come up with another fruit. Pears were an obvious choice. They’re a perfect match for honey, in my opinion. 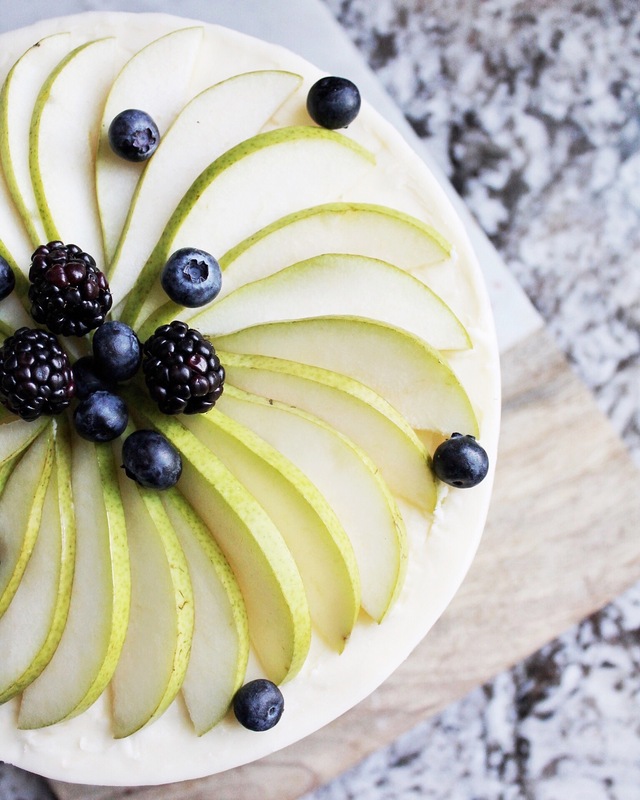 Before making this cake, I knew that I didn’t want to do a fruit filling and I didn’t want to put the pears into the batter (for no particular reason – just the mood I was in, I guess). That left me with one option: cooking the pears on top of the cake, just like an upside down pineapple cake. 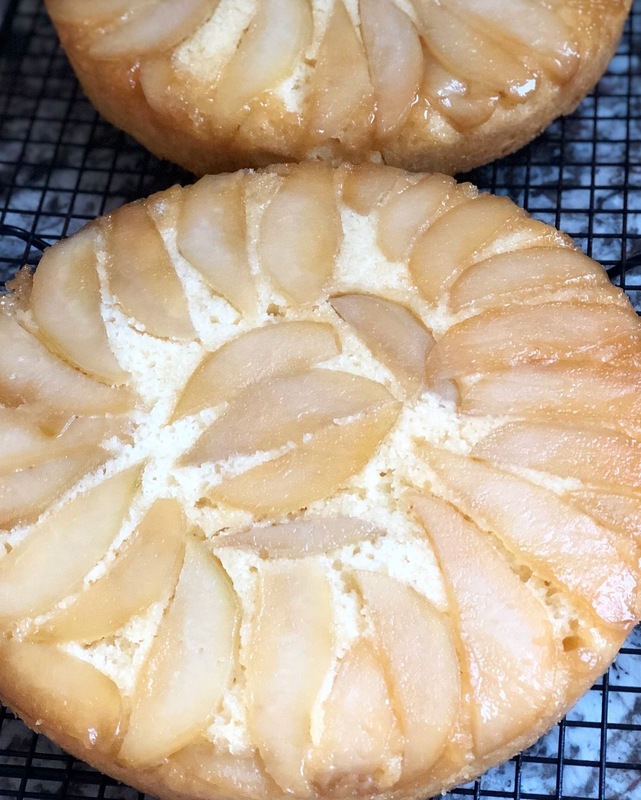 I caramelized the pears a bit (I like to use slightly firm pears) and used some of the leftover sauce to pour on top of the pears before adding the batter to the cake pan. 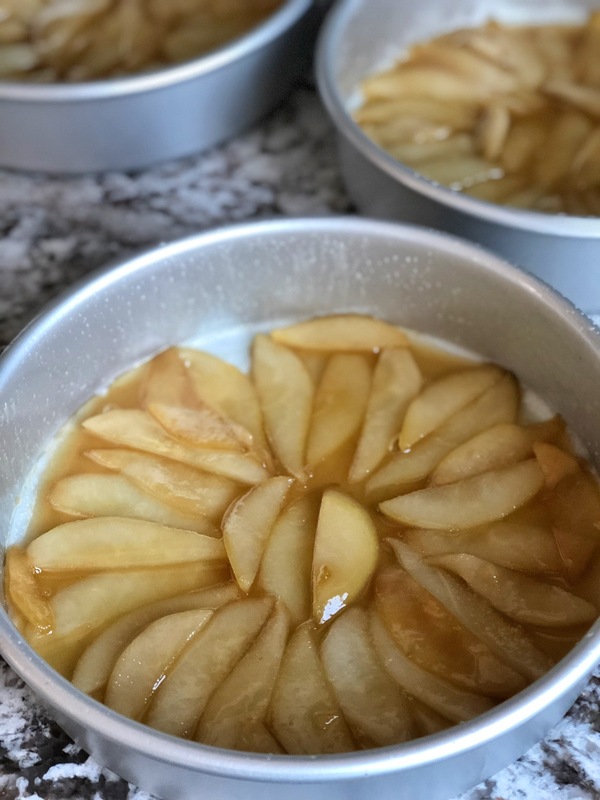 This step gives the cake a bit of a brown sugar glaze, another solid flavor addition to the honey and pears. After you layout the pears between the three pans, you’ll want to carefully pour 16 to 17 ounces of batter on top. 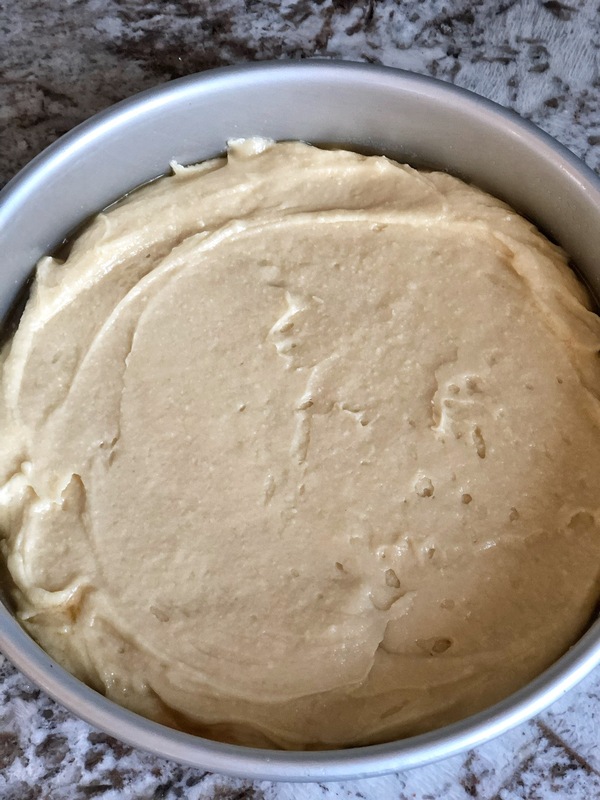 Use an offset icing spatula or the back of a spoon to carefully spread out the batter. How good does this cake look? Even without the honey cream cheese buttercream, it’s already got great flavors and texture. You could cut a slice right now and walk away happy… but don’t… the honey cream cheese frosting is definitely worth waiting for. 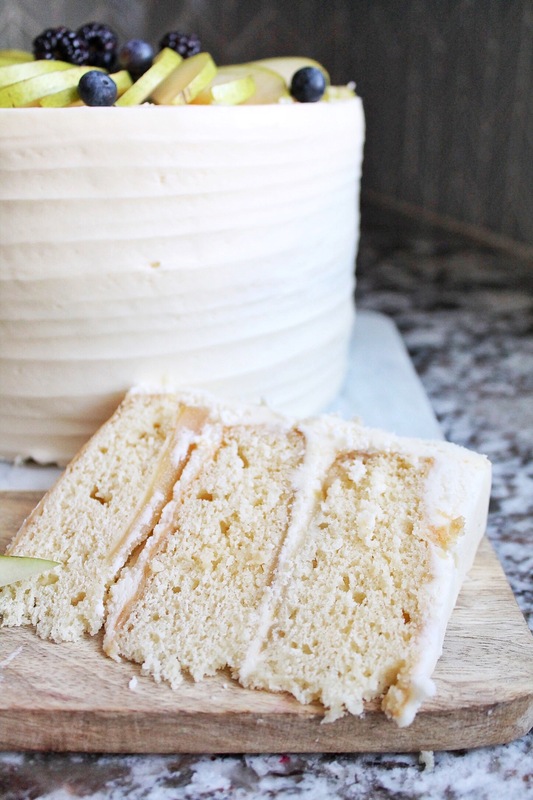 Honey butter cake layers, baked with caramelized pears and covered in a honey cream cheese frosting. Melt the 3 tablespoons of butter in a frying pan on medium heat. Once the butter is melted, add the water and 1/2 cup brown sugar. Cook, stirring frequently, until the sugar has completely melted. 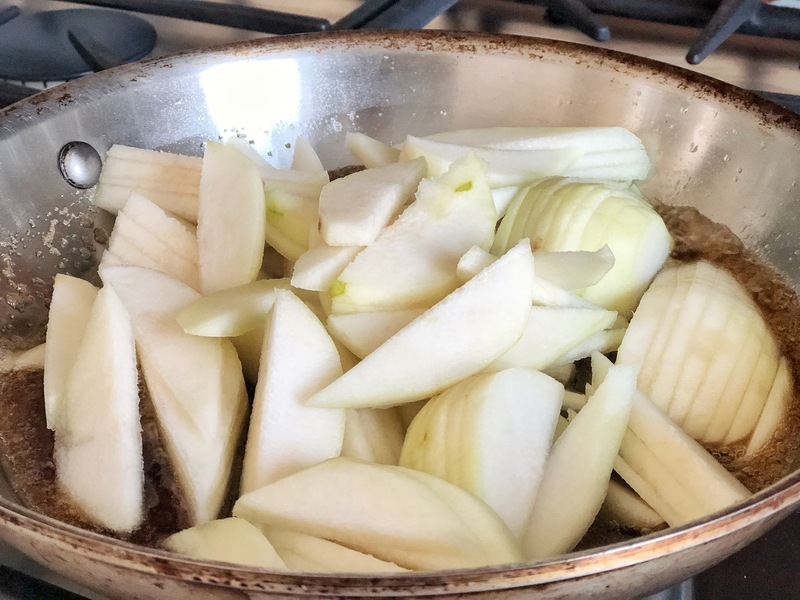 Add the sliced pears and cook for another 2-3 minutes. Set aside. Preheat oven to 350 degrees. Butter and flour three 8" round pans. In each of the pans, evenly place the pears on the parchment paper. 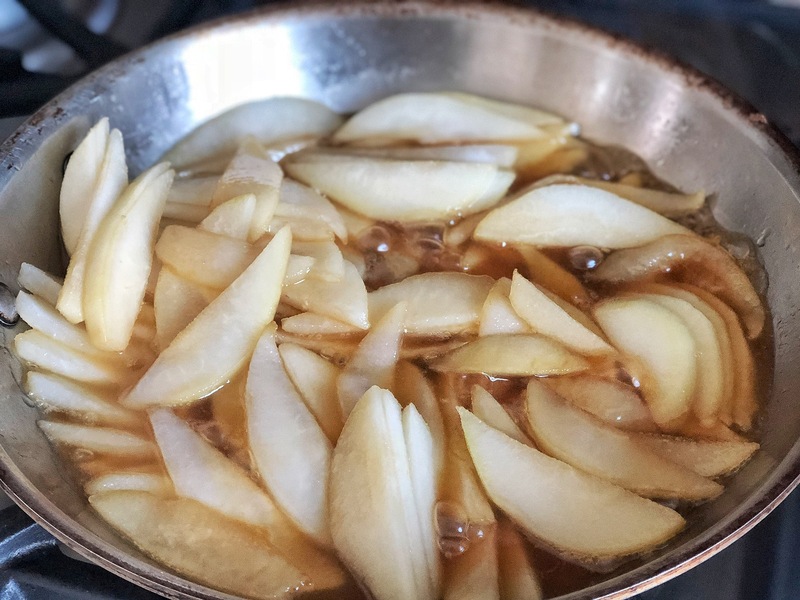 Pour 2 tablespoons of the caramel sauce over the pears in each pan. 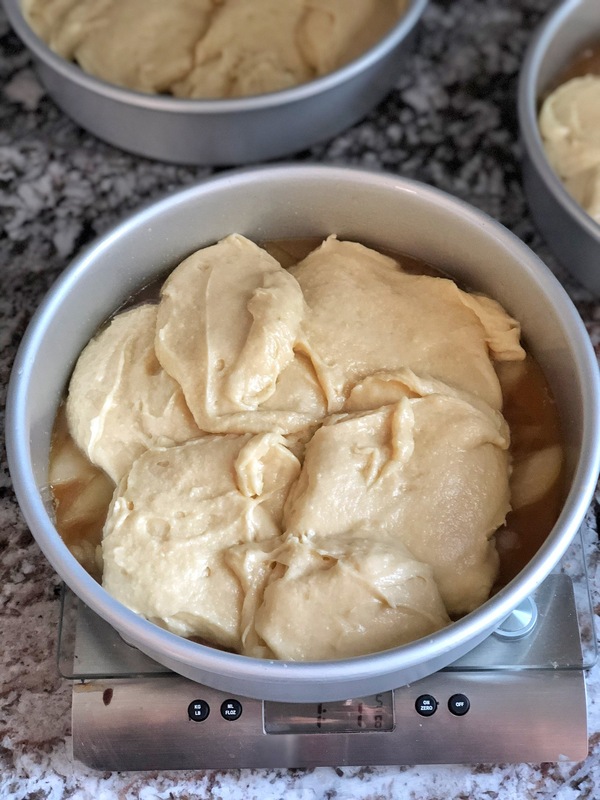 Evenly divide the batter between the three cake pans (about 16 to 17 ounces in each), being careful to gently spread the batter over the pears. Bake for 30 minutes, until toothpick inserted into the center comes out clean. In the bowl of a stand mixer, cream the butter and cream cheese until light and fluffy, about three minutes. Gradually add the confectioners' sugar on low speed until it is all combined. Increase speed to medium-high and continue to beat for another 2-3 minutes. Place first cake layer, pear-side up, on a cake plate. Cover the top of the layer with about a cup of buttercream. I like to use a piping bag to ensure I evenly cover the cake. 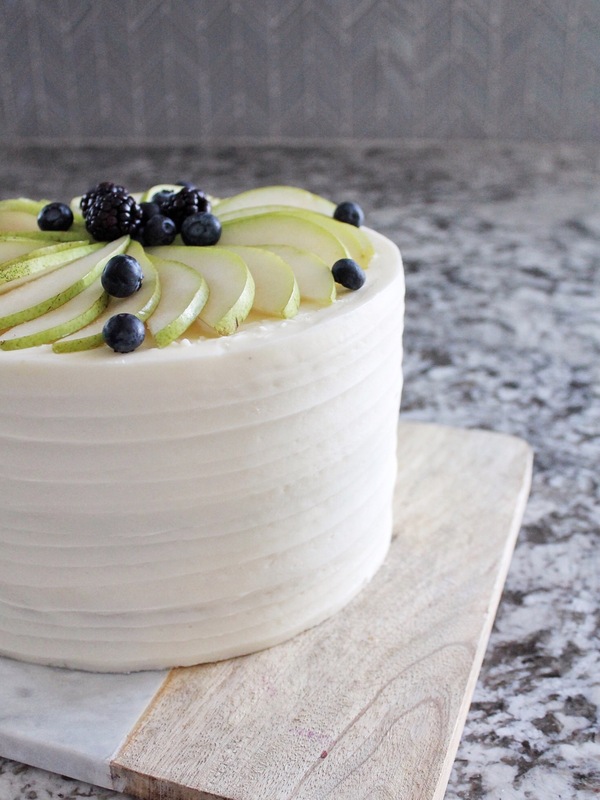 Place second cake layer, pear-side up, on top of the frosting and cover it in frosting. Place the third cake layer, pear-side down, on top of the second layer of frosting. Frost a crumb coat around the entire cake and set in the freezer for about 15 minutes to set before applying the remaining frosting. hi, whats the pan size you used to bake these? also what is the paper at the bottom of the pan? thanks! I used three 8-inch pans and I always put parchment paper at the bottom. You’ll see instructions for that in my instructions. Just made this cake for my family – such a lovely recipe!